King Felipe VI tweeted that Caballe was "the great lady of opera, legend of universal culture, the best of the best." Caballe died early Saturday at Hospital San Pau in Barcelona, hospital spokesman Abraham del Moral told The Associated Press. Caballe's family requested the cause of death not be released, del Moral said, adding that she had been in the hospital since September. Condolences poured in from the world of opera and Spain's highest authorities. King Felipe VI tweeted that Caballe was "the great lady of opera, legend of universal culture, the best of the best" and that "her personality and unequaled voice will accompany us forever." Spanish Prime Minister Pedro Sanchez said a "a great ambassador of our country has died." For tenor Jose Carreras, opera lost its "best soprano" with the passing of Caballe. "Of all the sopranos that I have heard live, I have never heard anyone like Montserrat," Carreras told Catalunya Radio. Carreras praised her "versatility," saying "she could do everything from the purest bel canto all the way to Wagner's 'Tristan und Isolde.'" Barcelona's Liceo opera house, where Caballe performed over 200 times, and Venice's Teatro La Fenice also published tweets lamenting her loss. Madrid's Teatro Real said it would dedicate Saturday's performance of "Faust" to the memory of Caballe, lauding the "singular beauty of her voice" and her prodigious technique. 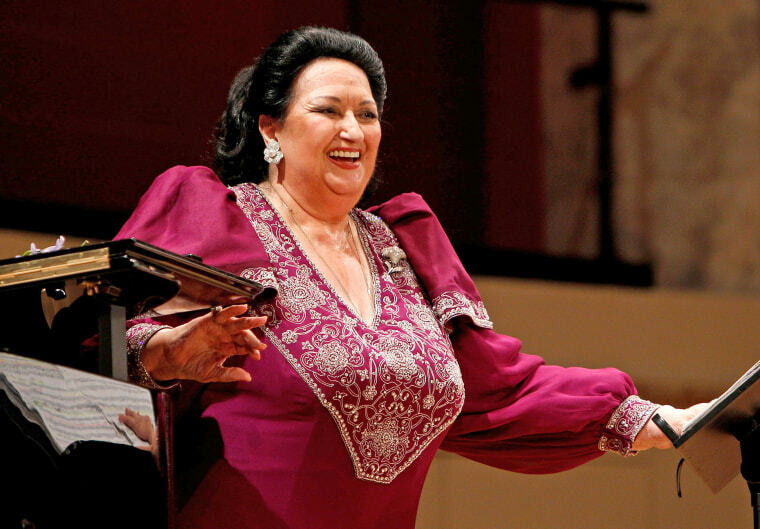 London's Royal Opera company said it was "saddened to hear " of Caballe's death and that she "sang with us on a number of occasions between 1972 and 1992 and inspired millions over the course of her career with her stunning voice." In her almost unlimited repertoire, she starred in 90 opera roles with nearly 4,000 stage performances. Opera singer Maria Callas is once said to have answered "Only Caballe ..." when asked once who she considered a worthy successor. At 8, Caballe entered the Liceo's Conservatory in Barcelona with Eugenia Kenny, Conchita Badea, and Napoleone Annovazzi among her first teachers. She won the school's Gold Medal on graduating in 1954. She went on to study opera in Milan and in 1956 joined the Basel Opera and played her first major role that year in the city's Staatstheater as Mimi in Puccini's "La Boheme." In 1964, Caballe gave a highly praised performance of Jules Masenet's "Manon" in Mexico City, but it was a year later in New York that a lucky break launched her on the road to international stardom. On short notice, Caballe stood in for indisposed American soprano Marilyn Horne in a concert performance in Donizetti's "Lucrezia Borgia" at New York's Carnegie Hall and achieved a thunderous success. It opened the doors to all the major opera venues around the world. She produced a highly-acclaimed performance as Elisabetta of Valois in an all-star cast of Verdi's "Don Carlo" at the Arena di Verona in 1969. The concert became famous for her "la" on the final "ah" at the very end of the opera, which lasted for more than 20 bars up, driving the audience wild with delight. In a brief excursion into pop music, Caballe's duet "Barcelona" with Freddie Mercury, of the rock group Queen, was a hit single in 1987, accompanied by an album of the same name. The title track later became the anthem of the 1992 Summer Olympics in the city. Caballe performed the song live, accompanied by a recording of the late Mercury, at the 1999 UEFA Champions League soccer final in Barcelona's Camp Nou stadium. Queen guitarist Brian May posted a message on Instagram, saying that Caballe was an "inspiration to us all but especially to Freddie. Your beautiful voice will be with us forever." In 1997, she sang on two tracks on an album by New Age composer Vangelis. Caballe's funeral will be held on Monday in Barcelona.